Once your baby outgrows the 4moms infant tub™, the spout cover™ will help you keep your child safe and comfortable at bath time. Once your baby outgrows the 4moms infant tub™, the spout cover™ will help you keep your child safe and comfortable at bath time. Spout cover for the bath tub. 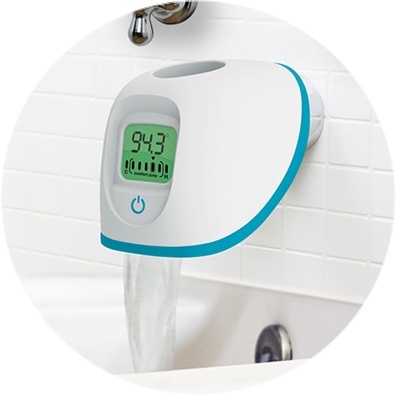 Soft, cushy foam protects your child from the faucet. Easy access to the diverter means you don't have to remove it to shower. 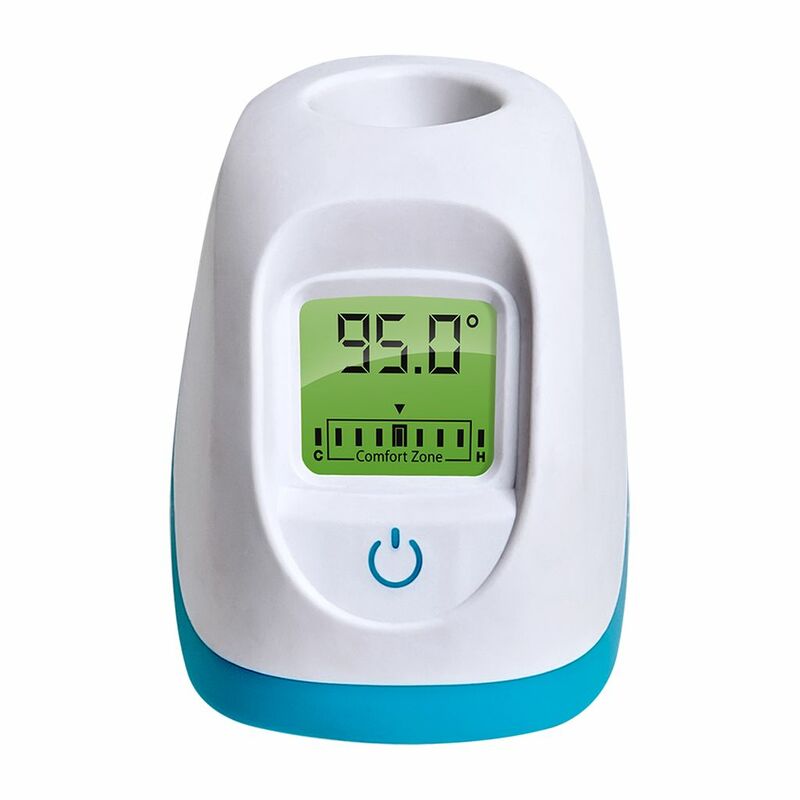 Color-coded digital thermometer makes it easy to set the perfect temperature for child's sensitive skin. Each digital thermometer requires three AAA batteries (not included).